It may seem like a pretty straightforward material, but on closer inspection there’s much more to kindling than meets the eye. It is in every sense a fascinating and extremely useful material. Most of us know it can be used to enable larger wood to catch fire quickly and efficiently, but do you know what it’s made from? What exactly can it be used for and what does kindling a fire really mean? Well, let’s take a closer look at the world of kindling. What’s the best kindling to use? There’s little doubt that whichever way you look at it, small is best when it comes to creating excellent burning conditions. Smaller, dry sticks will always do the job well, provided they are well arranged over a broad surface area. As for types of wood, pine kindling would be a great choice as it’s relatively soft and will get to work speedily, though cedar and fir are also good igniters. Wood with the moisture taken out can work wonders for your fire and also help the environment around you. While kindling is used to assist in starting the fire, when it’s used with tinder, the results can be even better. Furthermore, kiln–dried firewood has revolutionised the firewood industry in recent years, offering the ability to warm our homes faster. Even in the 21st-century, firewood remains a necessity. Lighting any form of fire is like an art form, and something very rewarding when done properly. Without any form of kindling, it could prove to be a very difficult and highly frustrating task. What’s the difference between Kindling and Tinder? Tinder is made up of small shavings or even shreds of material that will burn hot at a fast pace. Once it’s alight, kindling can be slowly added to complete the process. You can look upon tinder as a base ingredient to help you get started with fire-lighting. It will begin to glow under a shower of sparks, especially if air is gently wafted over the glowing tinder until it bursts into flame. Of course, the exact process varies depending on the usage, with stoves, burners and open fires requiring slightly different techniques. These are simply short sticks cut from softwoods which have been completely dried out in a kiln. When placed together these sticks create the perfect conditions for ignition of your fire. 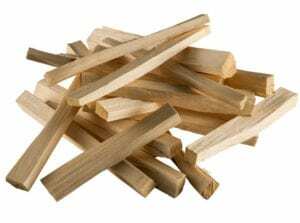 Top–quality kindling sticks will create superb results in the shortest possible time, and you shouldn’t need many to get things started. Hence, a good stockpile will last a long time. It really is all about sensible planning, especially in winter, and FirewoodFund can help you with this. Once a kiln has reached the ideal temperature, any moisture within the wood will be gradually drawn away into the kiln’s chamber. Circulating air within the kiln then removes the moisture entirely, and the process is repeated until as much water as possible has been removed from the inside of the wood. As a result, we are left with wood that is a good 15 per cent drier and superior to seasoned wood. Drying times are considerably less in conventional kiln drying than in solar kiln drying. Quality kindling is essential in creating the most safe and efficient fire possible, whether it be for warmth, drying or cooking. It’s easy to store, comfortable to use, relatively cheap to buy, safe for the environment and you’ll only need a few sticks at a time to do the job. Just remember that dry kindling is as vital as having dry logs, and you won’t struggle to light your fire or stove on dark winter nights. For complete success, make sure you purchase quality kindling from a reputable supplier like FirewoodFund.